If you are a sponsor, a media sponsor, a speaker, or an attendee don't forget to use the promotion badges and high-resolution logos. You can download them all from this page. Please make sure to follow the usage guidelines as defined below. Thank you! Use the IMCS full-color logo and white logo as the initial alternatives for our brand presentation. It is recommended that you use the horizontal version of the logo. We have a vertical alternative if circumstances require it for better readability and brand consistency. The IMCS Full Color logo and White logo should be the initial alternatives to present our brand. It’s always recommended to use the horizontal version of the logo, but depending on where is going to be applied, the vertical alternative exists to allow better readability and brand consistency. "Clear space" is the mandatory area required around the outside of our logo. No other graphical element should be placed in this area. 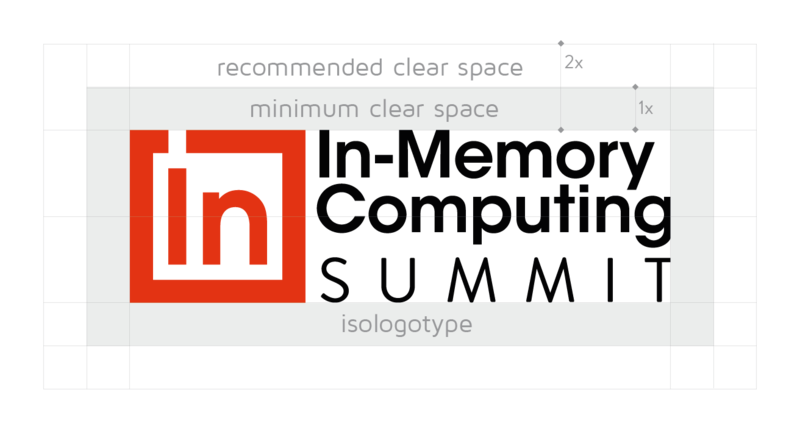 The minimum required clear space for the logo is defined by the measurement “1x”, as shown.